This is a stunning mirrored photo frame that is beautifully decorated. It has glass crystal featuring along it. 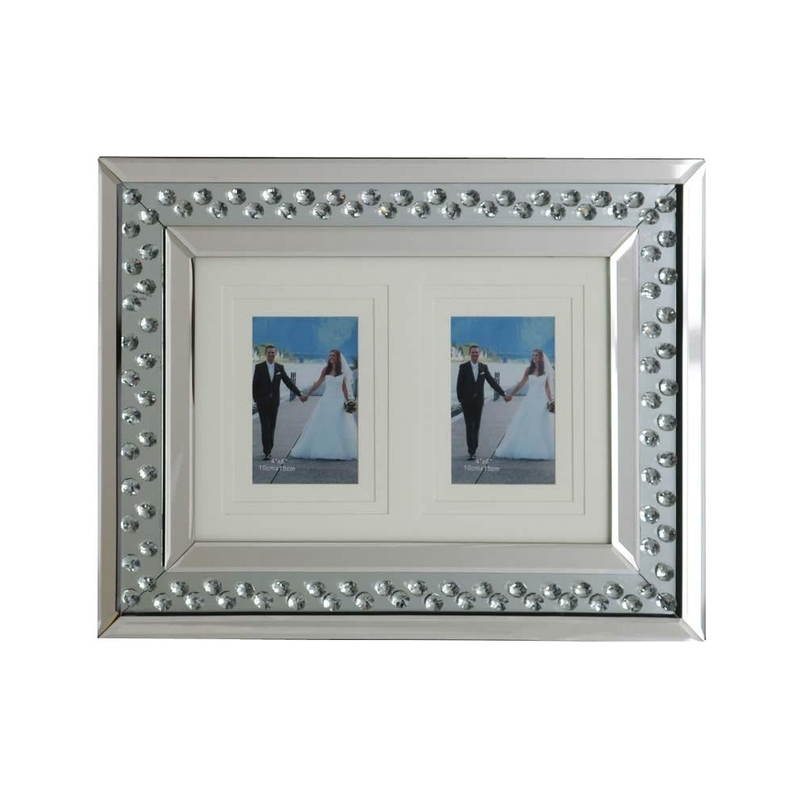 This mirrored photo frame is perfect for those who want to display two photos at once in one photo frame. This is one of the newest additions to the Rhombus range.